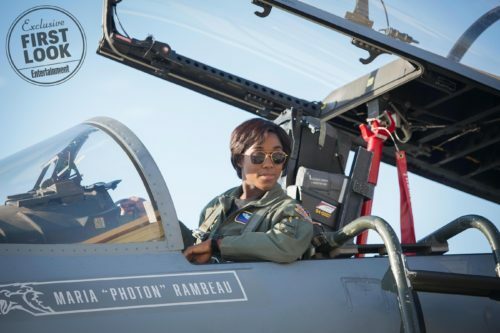 If I’m remembering correctly, that line was actually first said about Monica Rambeau, played in Marvel Studio’s Captain Marvel by Lashana Lynch. Someone she saved said that about her before passing out, and the name stuck. 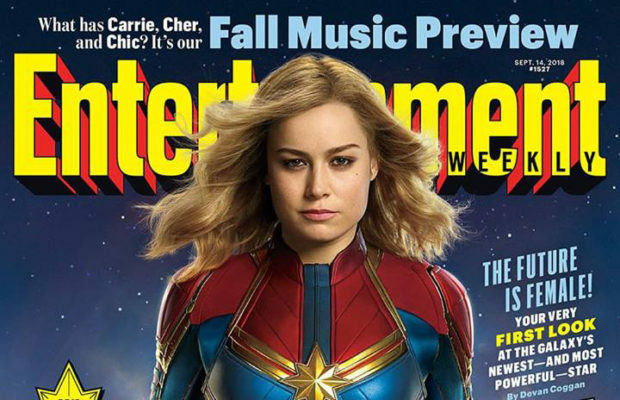 But before Monica, there was Carol Danvers, played by Brie Larson in the movie, and Entertainment Weekly got to reveal Danvers in all her Kree-sewn uniformed glory today. 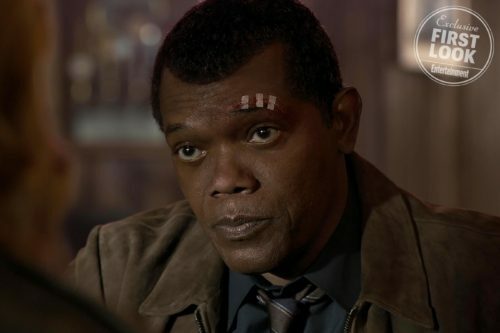 The magazine also gave us better insight as to what’s going on — though we knew that the film would be a previously untold chapter of the Marvel Cinematic Universe set in the 1990s, we may not have realized the full impact that would have. 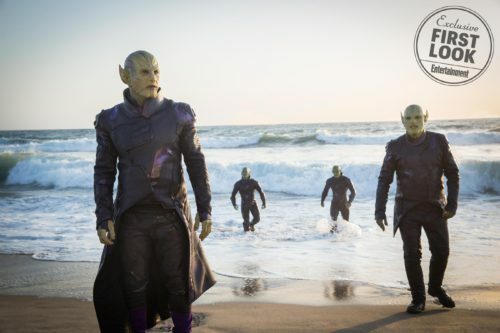 Of course, we’ll get a major battle in the Kree-Skrull War, involving Ben Mendelsohn as Talos, a Skrull warrior who infiltrates S.H.I.E.L.D. on Earth with his shape-changing ways. 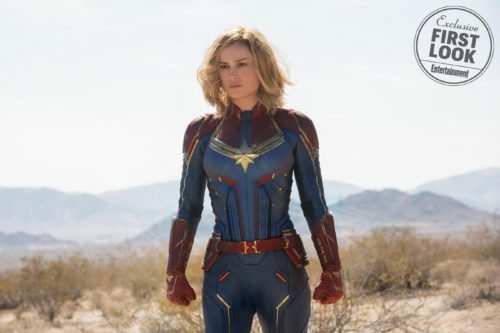 But the surprise is that Captain Marvel may skip over Carol Danvers’ origin, instead depicting her as already a member of the Starforce, an elite military team on the Kree homeworld of Hala. 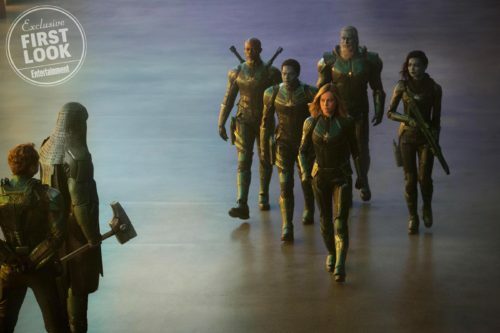 Her teammates there are familiar from Guardians of the Galaxy. 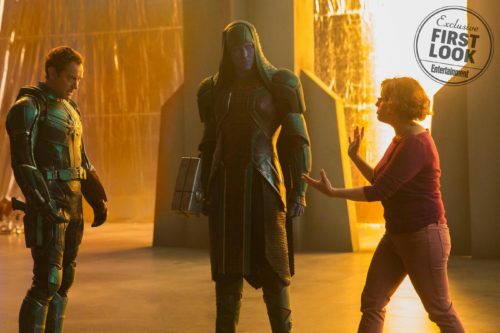 Both Lee Pace (Ronan the Accuser) and Djimon Hounsou (Korath) return, albeit much younger than their previous appearances. This will likely deepen our understanding of Ronan in Guardians, a proud warrior having watched the collapse of his proud people’s empire. 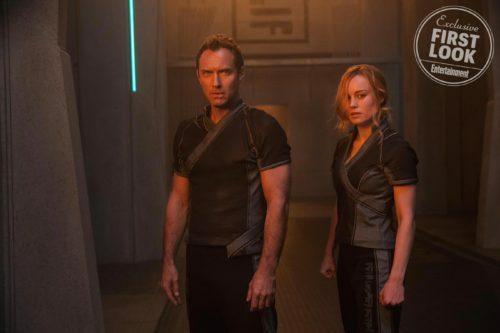 Starforce will also include Mar-Vell (Jude Law) and Minn-Erva (Gemma Chan). 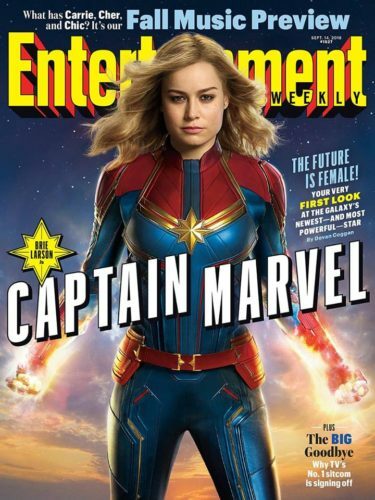 Captain Marvel will be released in March 2019, followed two months later by Avengers 4, where presumably Captain Marvel will save all of reality. And we’ll be glad. Could we now get a trailer, please?